The World's Toughest Boats. 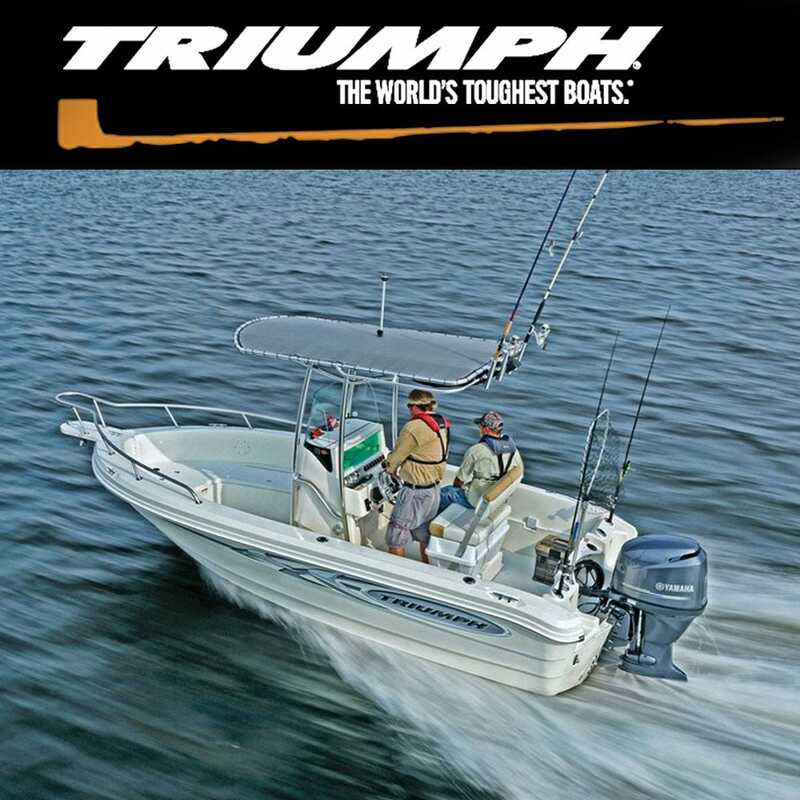 Indestructible, unsinkable, quiet, easy and durable perfectly describes Triumph center console boat models. Triumph's molded polymer hulls are 5 times more impact resistant than fiberglass and they far exceed the floatation requirements of the U.S. Coast Guard. Their hulls are designed to absorb both engine noise and wave impact thereby delivering an astonishingly quiet ride. Whether you are looking for boat cushions or 190 bay accessories, Great Lakes Skipper has many hard to find Triumph boat parts.